Study Japanese With a Hiragana Chart. Wall Charts to Spruce Your Apt. 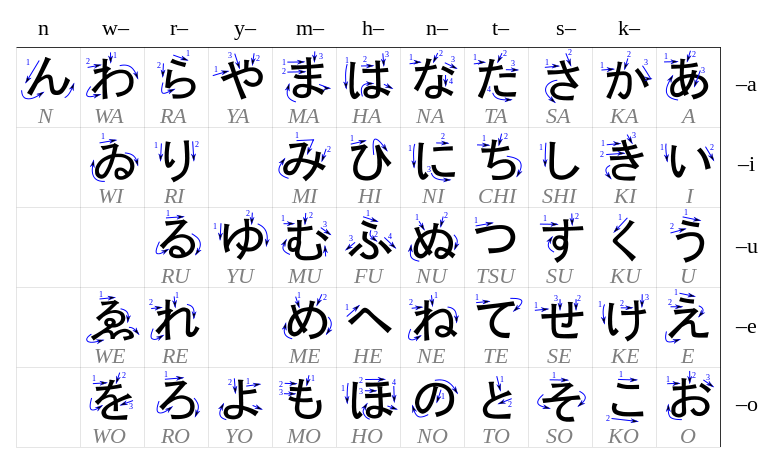 A hiragana chart is one of the most useful tools imaginable for study. Hiragana is the corner stone of the written language. There are 46 characters so memorizing them is pretty manageable. Hiragana, like English, is a phonetic alphabet meaning that each character has a sound just like in katakana. Kanji on the other hand is a hairy bear in comparison. It is a symbolic written language. So therein lies the power of hiragana. If you can't read the kanji, Japanese will write hiragana above it so you can "sound it out." They call it "furigana". Another interesting factoid is that hiragana was originally a language used by women or for personal letters before kanji was on the scene. Did you know that in Japan, when school children begin the long and arduous journey of learning Japanese as a written language they begin with Hiragana? That's right even before Katakana and way before Kanji. This is generally why most Hiragana charts you run across are aimed at children so they are filled with cartoon characters like Hello Kitty or Thomas The Train etc. Cute, but not quite what an adult ESL teacher would like to decorate his or her walls with. But to each his own as they say, so we have a couple high gloss wall charts with all the hiragana letters picked out for you. "Exactly as pictured and printed on nice glossy paper. Like the other reviewer, I plan to frame them!" "These look very nice. They are made with a sturdy cardstock type paper. I chose to frame mine above where I study." "Bought this as a gift. The quality is good." "Big poster, sticks to bathtub wall perfectly, can even be pinned to the wall. It's a very soft and flexible material that is on the thin side. Love it!" Posters are useful in the sense that they are always right there in front of your face as soon as you find a good place to hang it. Right on the refrigerator door is a good place. You can grab a glance at the chart to refresh your memory before you pull open the refrigerator door and crack a cold one. Although a hiragana chart won't actually teach you hiragana as you will need a hiragana writing practice book to really drill it down. 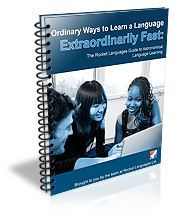 But if you're one of zillions of ESL teachers who are into the learning Japanese and moved into an apartment without a single thing on the wall and not even curtains on the windows. It may just fit the bill. Mnemonic charts really help when it comes to shaving some time off of learning Japanese. The one issue with them is that we all think a bit differently so some symbols resonate well with some people and not a bit with others. In our Amazon picks above, the center chart is mnemonic. One way around this (if you have time to kill between teaching classes) is to make or print a plain chart and make up your own symbols that resonate with you to speed up your memorization of them. Plus just the actual exercise of making the chart drills it into your cranium a bit more. Another thing to keep in mind with hiragana whether you're getting a chart, (see some good stuff from Amazon just below is the stroke order. There is a predetermined order for writing them. If your stroke order is off or not in the correct order the character will look strange. And if you think it is important in writing hiragana it is undeniably true when you step up your game to writing kanji.